This year I most definitely wanted to choose my ultimate favorite products of the year AKA the best beauty products of the year. I already did a post about my favorite skincare products here, so today it’s time for the makeup category. 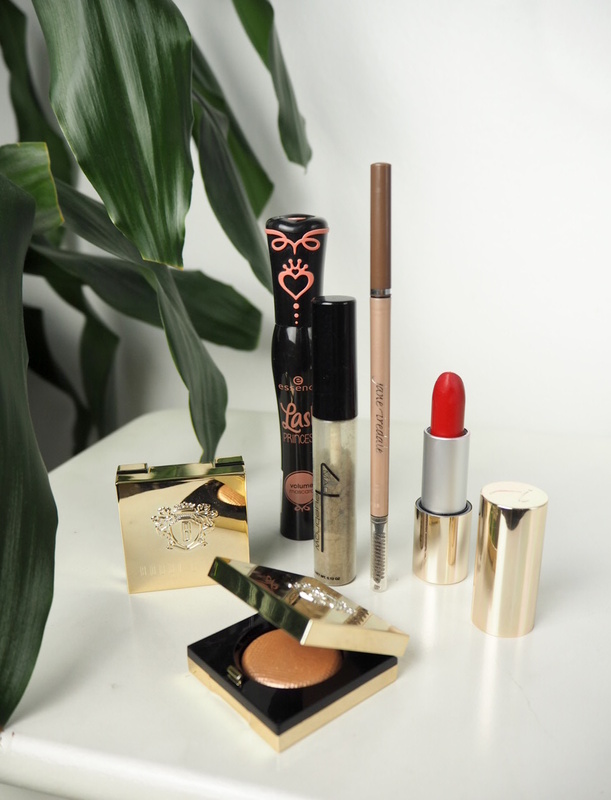 These makeup products were my ultimate favorites last year. I use most of them daily and they are also the products I’m likely to travel with. This primer smooths all my pores and texture and makes my skin silky soft. I love to use this with liquid foundations. It also makes my foundation last longer so if I need my makeup to last from early morning until late at night, I choose this one. The packaging is not the most convenient, but it’s fun and pretty. I was so surprised to find an affordable concealer like this that I actually liked. 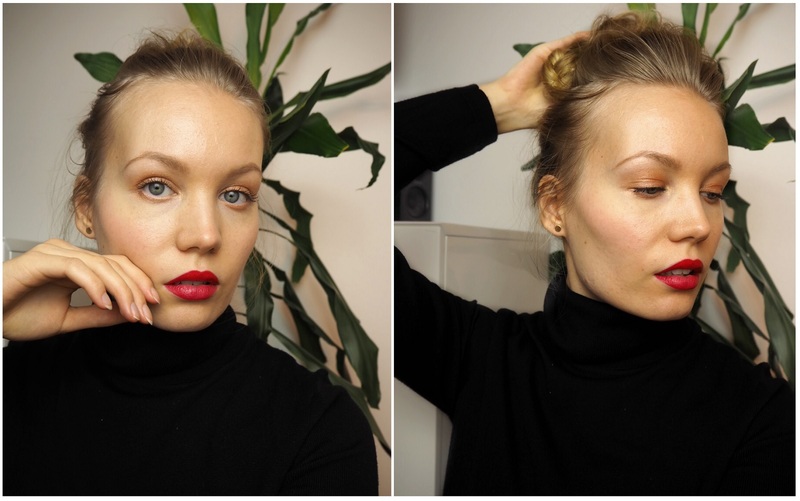 Especially as I was so hooked on the NARS RCC. 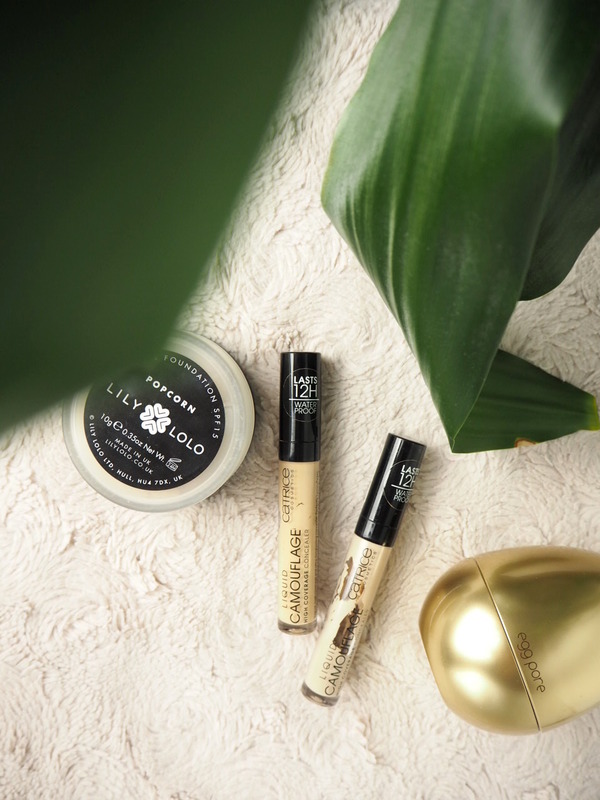 As the name suggests the concealer is very high coverage and more on the thick-side. The longevity is great. This concealer I have been using all year long and I have a feeling I will be buying it in the future as well. I got some Lily Lolo products at the end of the year, but I immediately knew I had found gold. 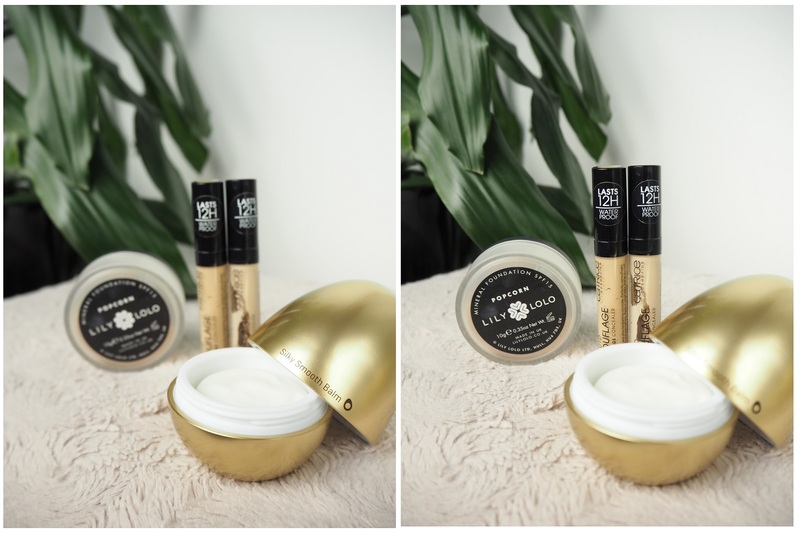 I honestly think Lily Lolo’s mineral base is the best mineral foundation I have tried. It’s just so soft, easily blendable and it lasts well. And it’s very affordable! I love to use mineral makeup, because it actually has some skincare benefits as well. My lashes are very small and they need a lot of volume and definition. 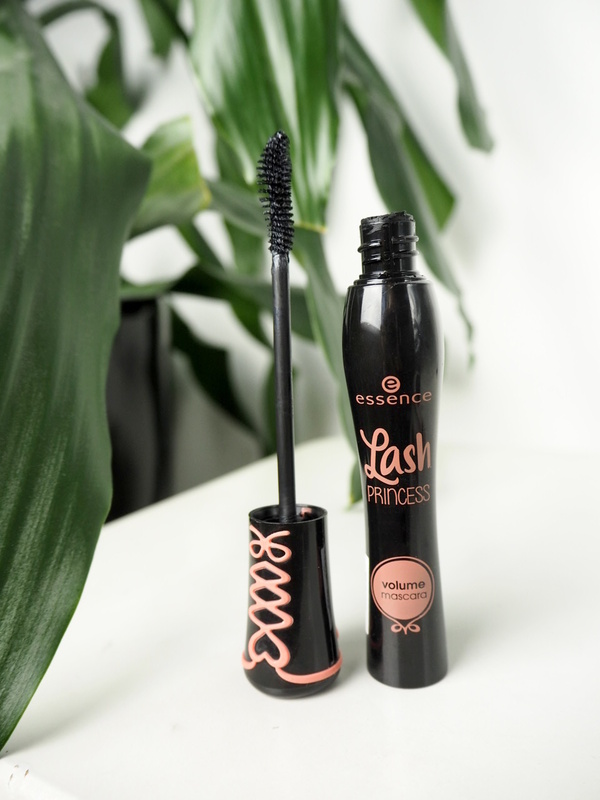 Essence’s mascaras practically cost nothing, yet they are awesome. I think this one is so far my favorite from essence’s mascaras. It’s funny, because I usually prefer rubber wands. 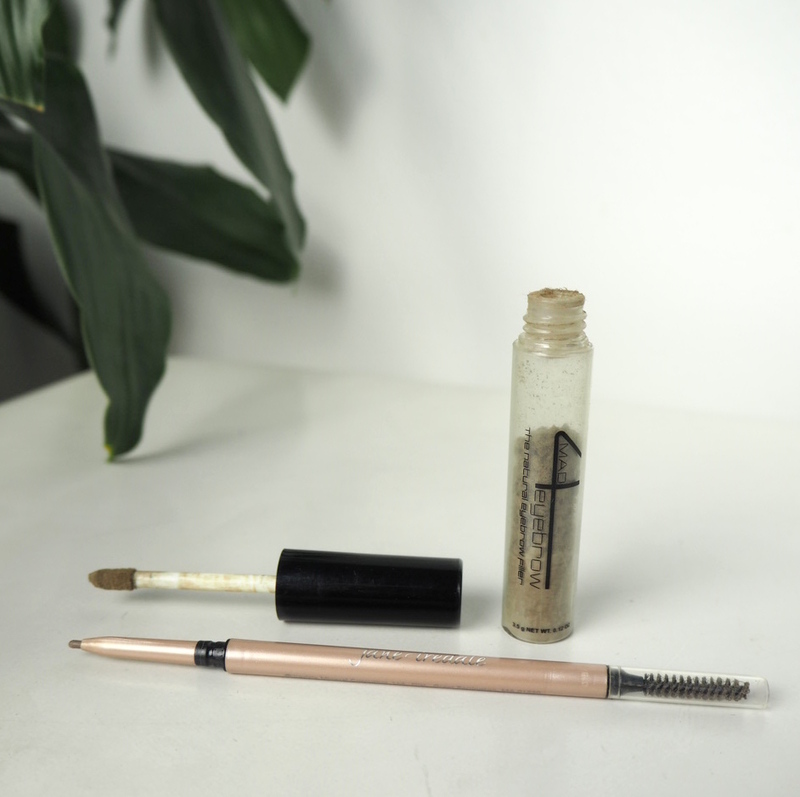 I can’t imagine life without this weird brow product. It’s a mineral powder with lots and lots of fibres – meaning it’s great at giving volume and definition. And it lasts really well. I buy mine from @kosmetologianu in Helsinki. To make my brows perfect, I finish them off by drawing brow strokes with a thin brow pencil like this. I can also sharpen any lines easily with this. I love that the product comes with a spoolie brush. When it comes to the best lipstick consistency, Jane Iredale takes the crown with their new Triple Lux lipsticks. It just feels invisible on the lips, the color payoff is great and the packaging is luxurious. I have two shades and I used a lighter rosy shade (Rose) all throughout the summer. At the end of the year I got this beautiful classic red color, Gwen. To me, these are luxury. They spark joy in me (#konmari, right?) just when I look at them. I also think these two shades are very versatile. 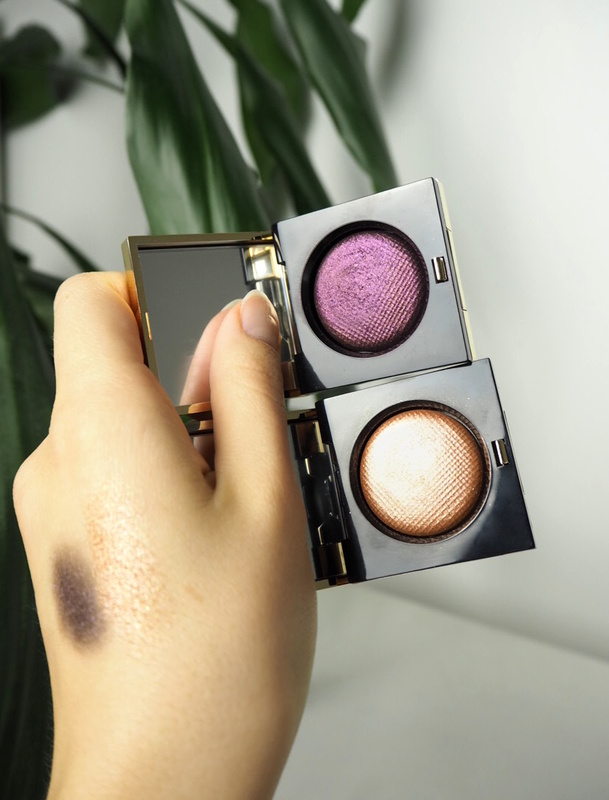 The golden Heat Ray is great for every day looks, whereas the purple High Octane one is made for smokey eyes and parties. And what’s best about these is that they can be applied with a finger. Actually, they work best that way. I also sometimes wear them on top of each other and have gotten lots of compliments on my eye shadow. What is your favorite makeup product of last year? *Adlinks. Most of the products are pr-samples. P.S. 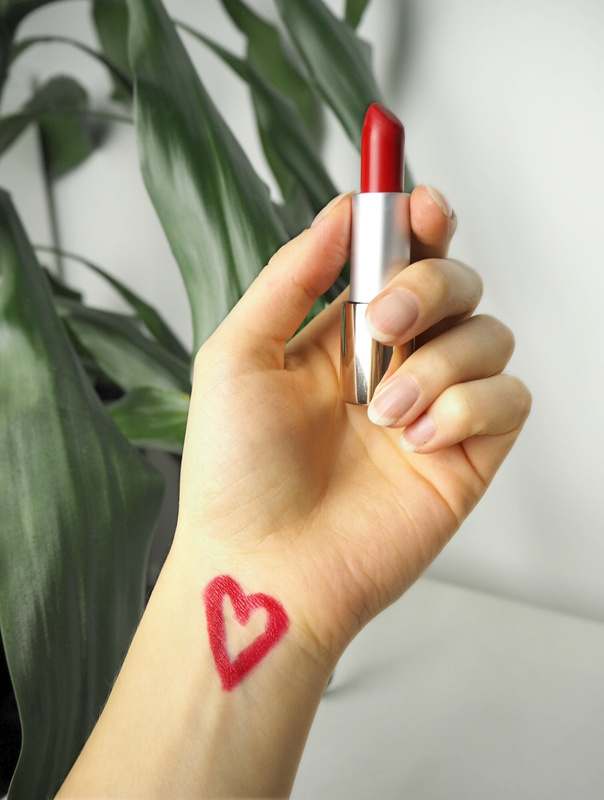 How lucky am I for being able to test new products and find new favorites that way? I am so thankful for all the brands and companies I get to work with. I love this job. A manicure was one of the hardest things to learn at beauty school. Before & after a manicure. So, I thought I would show you how to give yourself a manicure like a pro. At home! Wash your hands and use a disinfectant. Just to start things off fresh and clean. Remove the old nail polish, if there is any. 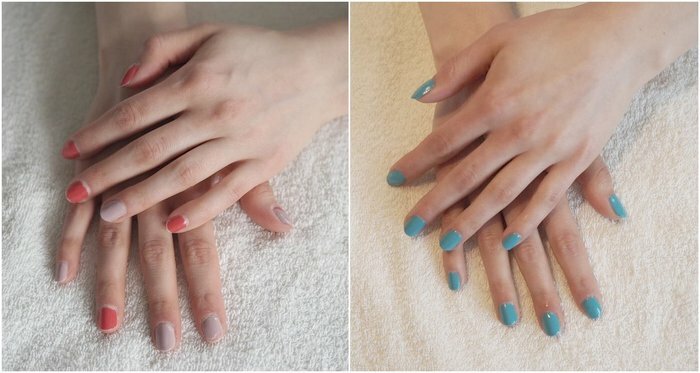 Give your nails and hands a bath. You can use any cup you have at home, but you can also buy a manicure cup from amazon (they’re pretty cheap). Make a warm bath for your nails. I usually use a moisturizing shower gel, foam or a shower oil. Bathe for about 5-10 minutes. This helps to soften your cuticles and nails and it also feels nice and relaxing. Push your cuticles using a wooden orange stick or something similar to that. Be gentle – this shouldn’t hurt. 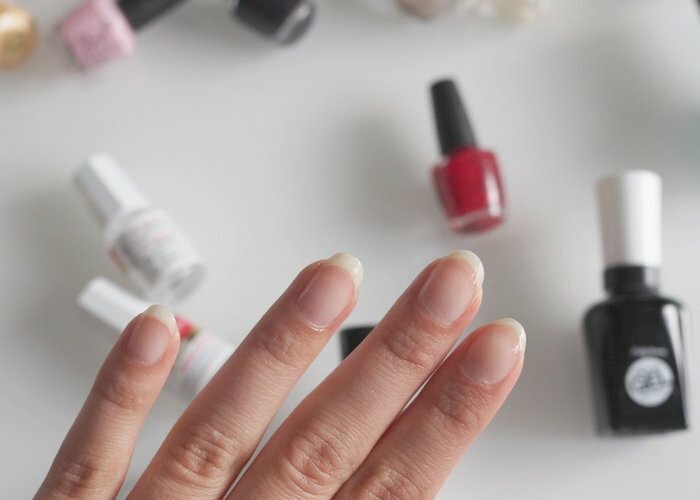 You don’t necessarily have to cut your cuticles – only if they’re really grown out or sticking out. Shape your nails the way you want using a nail file. I strongly recommend getting a glass file, just ’cause it’s more gentle to your nails. With a glass file you can file back and forth without breaking the layers on your nails. 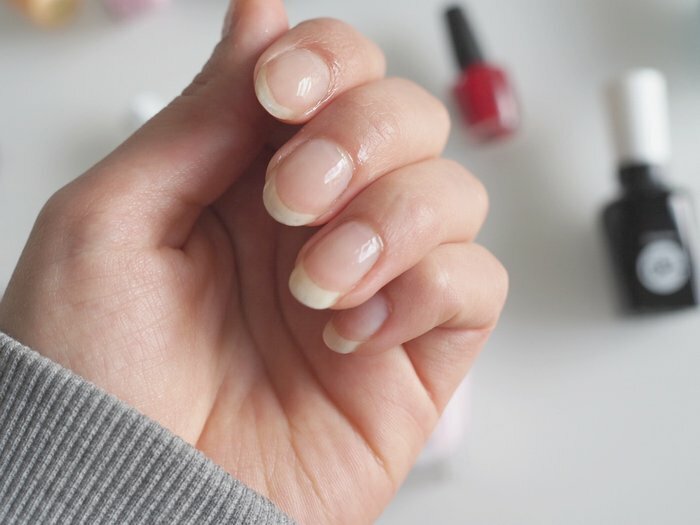 Clean your nails with a nail polish remover. This is to remove any dirt and oils from the surface so that the nail polish lasts longer. Next it’s time for some nail polish. I recommend doing it in three phases: a base coat, two layers of color polish and a top coat. Let the polish dry in between layers. A base coat is super important, ’cause it protects your nails. There are different types of base coats – hardening, ridge-filling, moisturizing etc. Pick a base coat suitable for your needs. You can also use a 2-in-1 clear polish that can be used as a top coat as well. There are different types of top coats as well: quick drying or hardening. Add a hand cream to your hands and cuticles. A cuticle treatment is recommended too, I like using just coconut oil. Your nail polish should be dry before adding the oil. 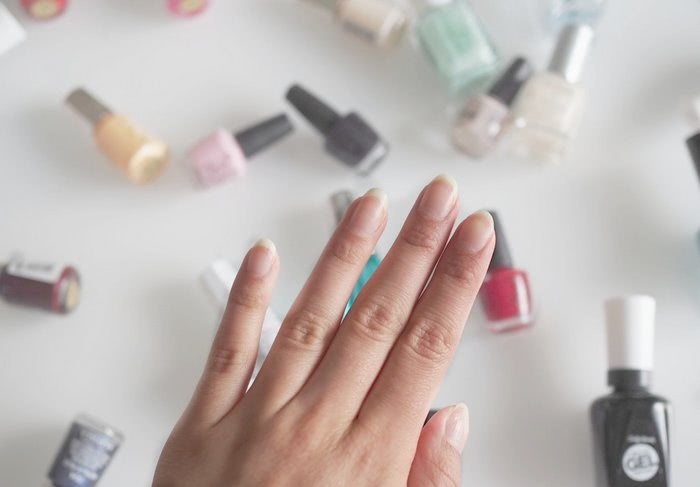 If you’re worried about messing the nail polish, let it dry before adding a hand cream. And that’s it. A good old manicure. The order of these steps may vary but this is the very basic routine. Here are the products, that I used and some product recommendations. Most of these I have received as pr-samples. I love Sally Hansen nail products. These miracle gel polishes have great pigment, nice texture and they last long on the nail. Full review here. 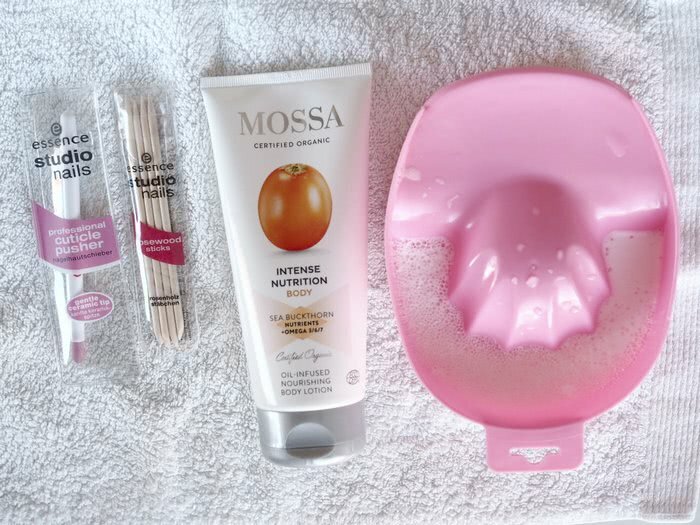 I can also recommend that moisturizing treatment that is suited for the nails and cuticles. I treat my nails with this whenever I’m not wearing any nail polish and I sometimes use it for my cuticles during the day. I also love Mavala products. We actually used them at school too. They have great quality products and I love especially their small sizes, because they don’t dry out and I get to use all the product. Essie is another great brand and this all-in-one clear polish is great. When was the last time you treated yourself to a manicure?